The Knitting Factory was buzzing Tuesday as a sold-out crowd waited in anticipation for Modest Mouse to take the stage. As this was the first show of the band’s spring tour, there was no way to know what the set list would include, no way to know what surprises the band had in store. After months off the road, Modest Mouse likely felt the same anticipation, ready to shake off the cobwebs and perform. By the end of the night, after Modest Mouse pulled songs from throughout its discography, fans both new and old were no doubt satisfied – save for those hoping to hear “Float On” or “Ocean Breathes Salty,” two hits the band didn’t play. The band started with “Grey Ice Water,” a deep cut off “Building Nothing Out of Something,” a compilation of non-album tracks from throughout the band’s career. 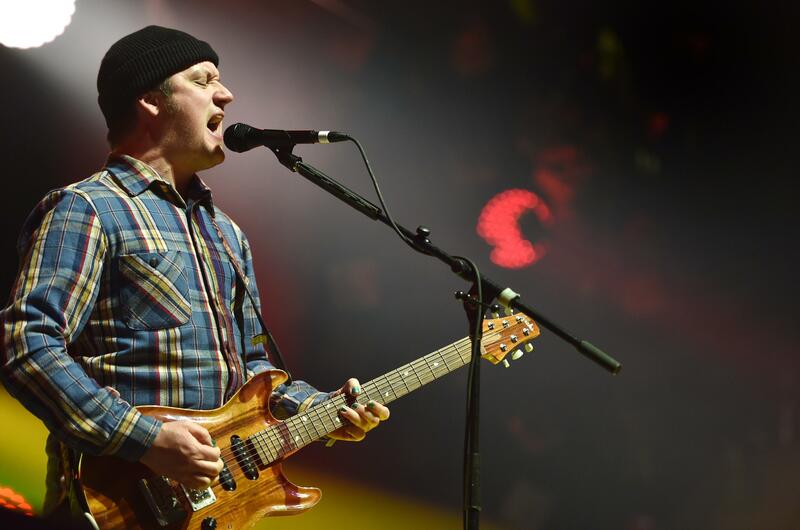 Lead singer Isaac Brock thanked the crowd before leaving the stage, but chants of “Modest Mouse” quickly brought him and the rest of the Issaquah-born band back onstage. Brock’s vocals were difficult to hear at times, and the band fought feedback throughout the set, but, overall, Modest Mouse sounded well-rested, even rejuvenated, and ready for the rest of the tour. Bugs will inevitably pop up at the opening date of a tour, but perhaps Tuesday’s sound issues and very, very sold out crowd are a sign that Modest Mouse has outgrown the Knitting Factory, having also performed sold-out gigs there in 2009 and 2011. The band clearly has a huge fanbase in and around Spokane, so Modest Mouse at the INB or even the Star Theatre at Spokane Arena would likely be just as well received. Published: May 24, 2017, 3:44 p.m. Updated: May 24, 2017, 4:11 p.m.